Does your yarn talk to you? Sometimes mine does, and sometimes it is very quiet--just resting politely on the shelf awaiting my head and hook to come together with a destiny for it. I've actually got yarn that I've had since I learned to crochet that awaits the proper project. 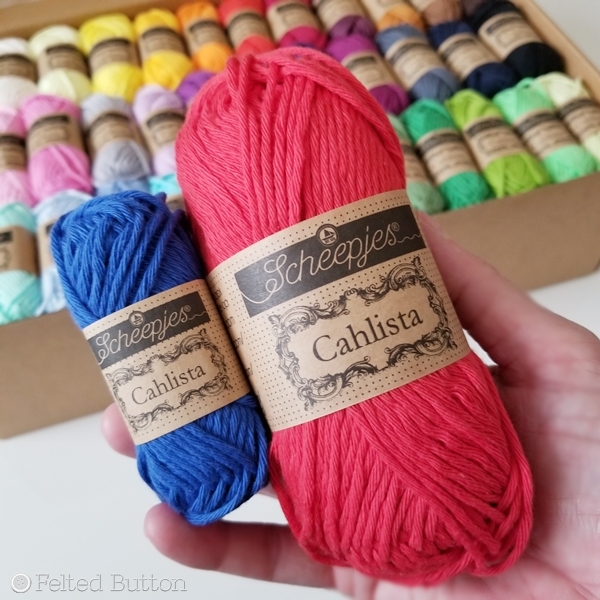 But recently I received every single color of Scheepjes Cahlista in wee 15g balls, and it yelled, "I know what I want to be!" My heart and hook jumped immediately. 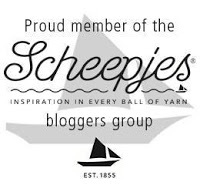 Let me tell you a bit about the Scheepjes Cahlista. 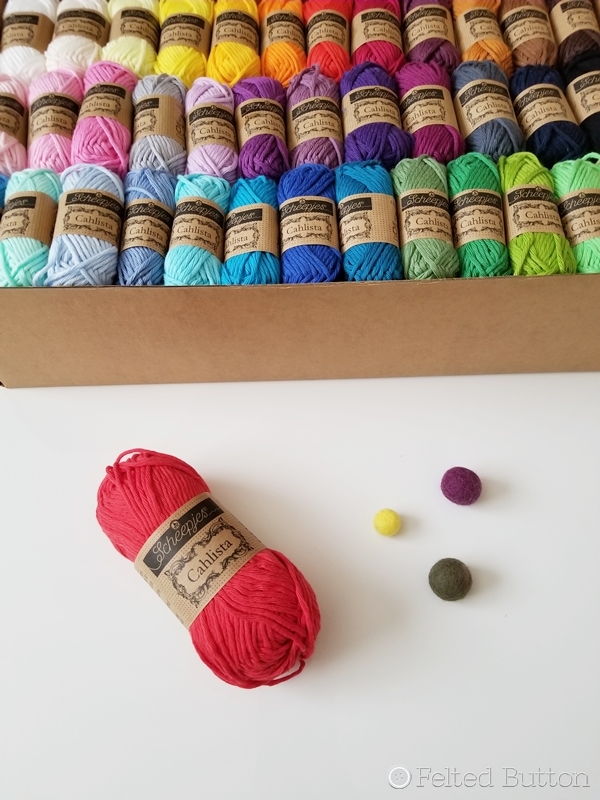 You can find it in a Colour Pack which contains each of the 109 colors in little 15g balls or you can buy individual Cahlista 50g balls* with the same 109 colors from which to choose. As an aran/worsted weight cotton it has such a nice weight--warm but breathable. Besides the color choices, another favorite trait of this yarn is that is doesn't fuzz like so many other soft cottons. During manufacturing, they do some magical passing over an open flame to singe off all the fuzz, so it is smooth with a matte finish. I decided on a 5mm hook with mine and that seems to be just about right to glide smoothly and have a good drape. 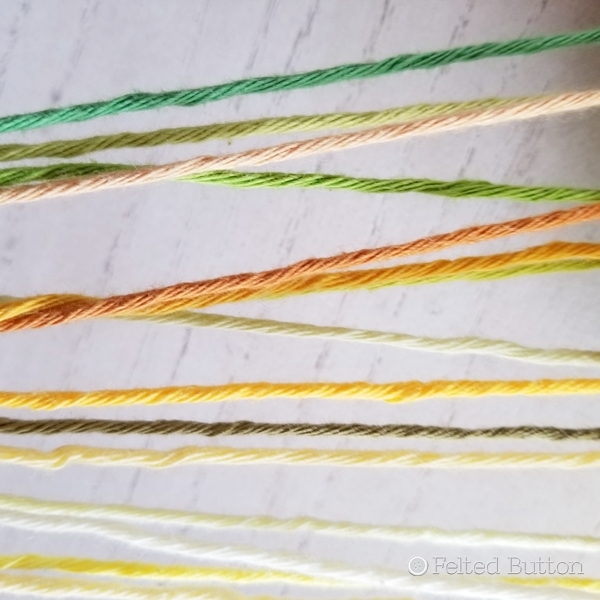 With only 15g for each little ball, I decided to work a single row with each color. After a bit of calculation, I figured out what the final width and heighth of my blanket would be--yes, just right. Lots of texture, some not-so-precise color planning so it looks a little "scrappy", and I'm off! You can get a glimpse of the plies and texture here. Like I said, a lovely smooth, matte finish with a gently twisted ply. 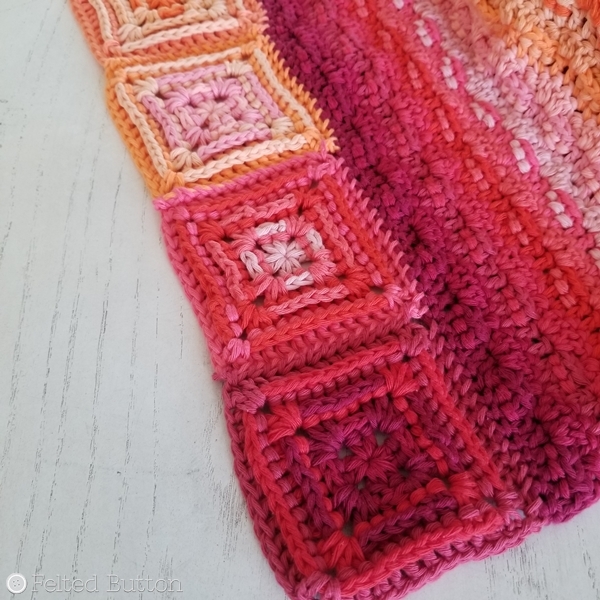 Since I have bits left over from each row, I am using them to make some simple and textured motifs to add squares to the ends of my blanket for a bit more length and whimsy. I think this is going to be fabulously fun when I finish! I'm off to spend some more time with my hook. My yarn is calling...can you hear yours? *This post contains affiliate links which if used by you does not cost you any more but provides me a small commission. 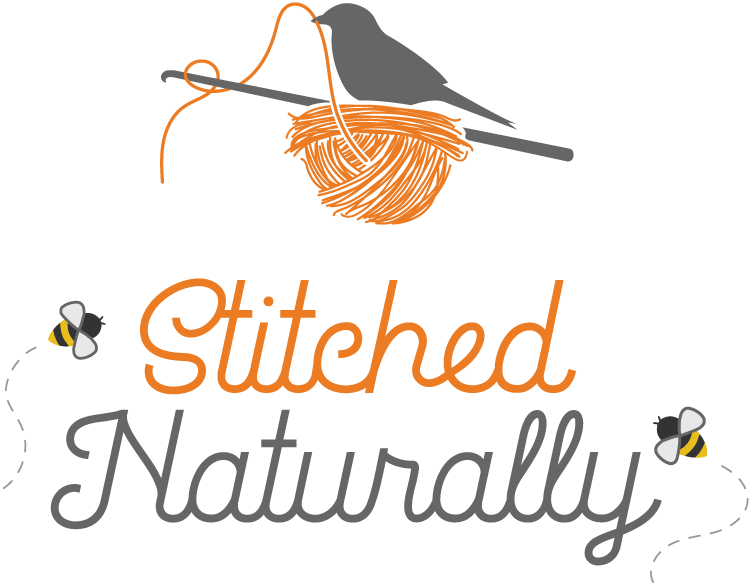 Thanks for supporting more free patterns! 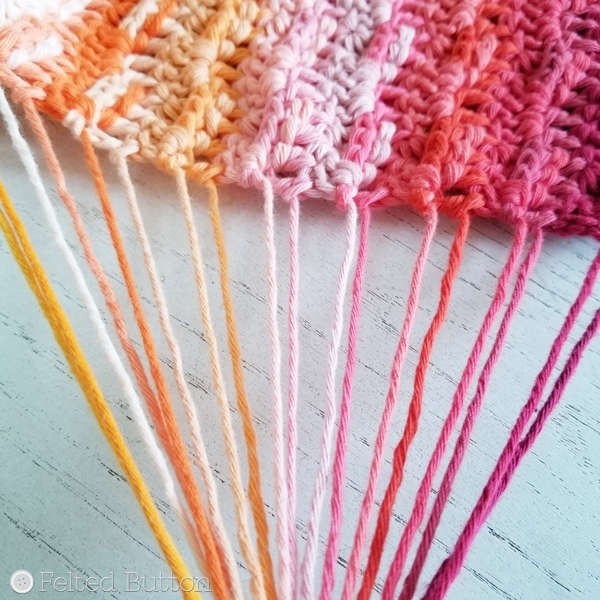 I can't wait for this pattern and for the ousted neutrals! You're such a prolific artist! You must crochet at mach speeds!!! Thanks, Valerie! Fortunately I have a lot of time to crochet so that helps. So pretty! I want to start NOW, but, I must finish a sweater I'm knitting for a friend first. 1/2 of a sleeve and front ribbing left. Finish that sweater for your friend. This project will be here when you're ready! 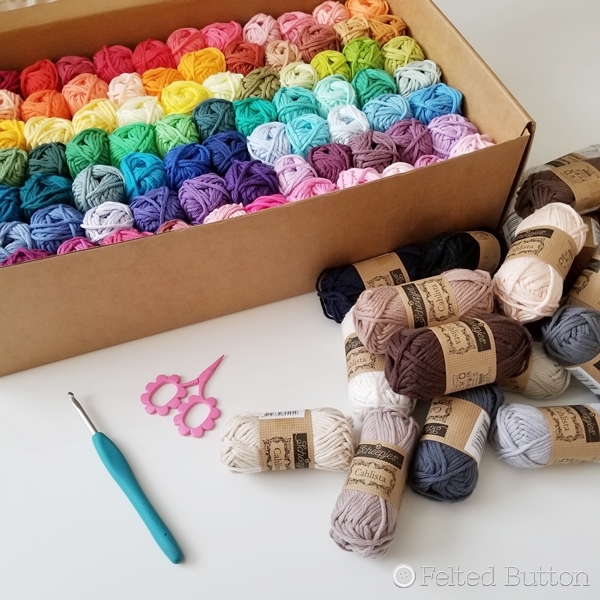 I'm thinking about buying the yarn pack and have a question for you. 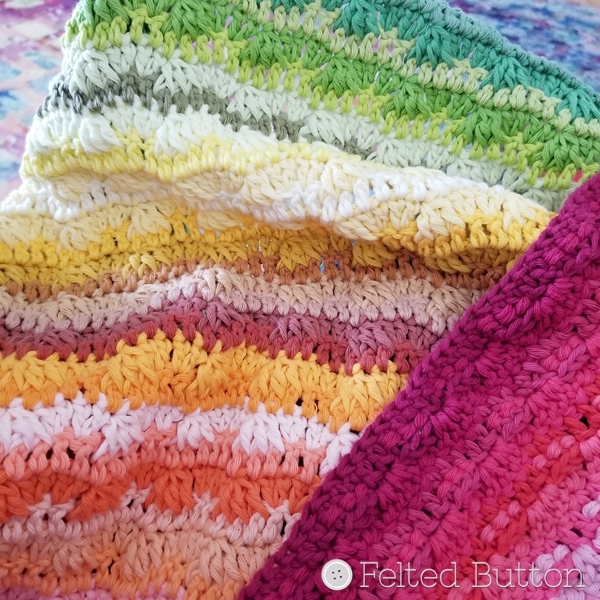 I know that the pattern hasn't been released yet, but could you please let me know how big is the blanket? I would like to make quite big one and I'm considering using two yarn packs. The pattern was just released today and all the information you need is in the post. I hope you love it! 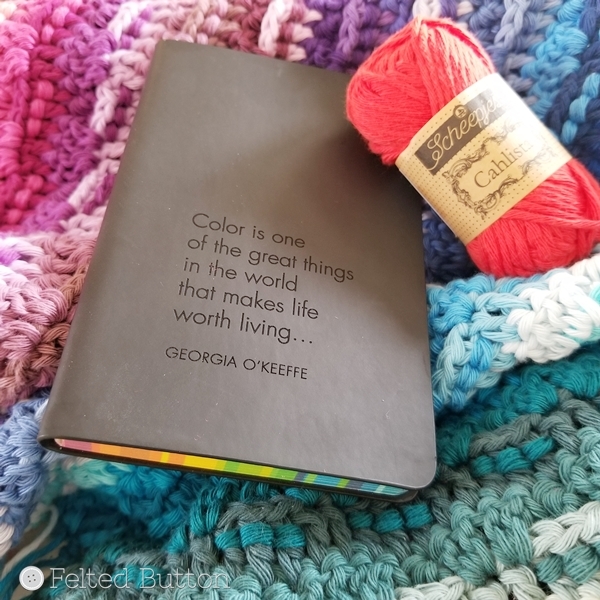 Didn’t know if I missed it or not but did you have plans to list your color order for the yarn you used? Thanks in advance! Lovely blanket!!!! Good question. Actually, I decided against listing all 84 colors thinking that half the fun is playing with your favorite order! I thought I had mine set when I started but ended up mixing the order a bit as I went depending on my mood..